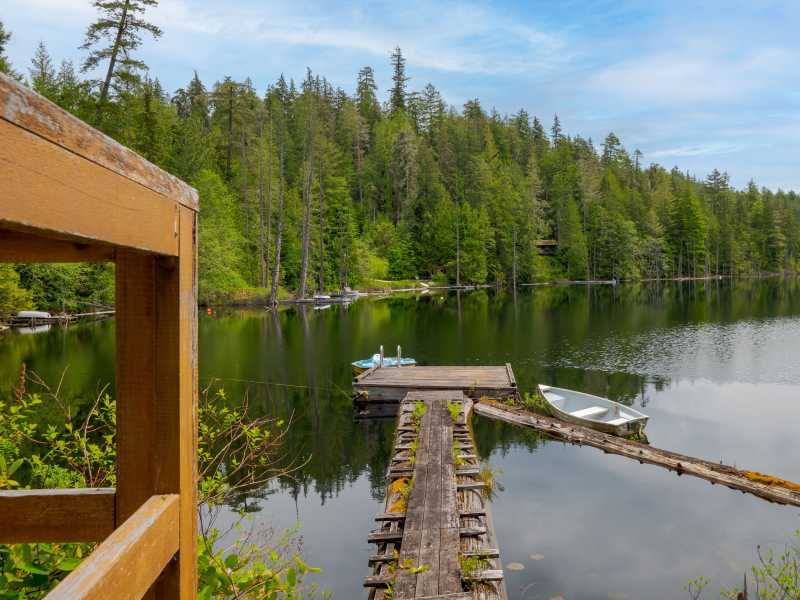 The Lakeside Cottage is just steps away from the water's edge of beautiful North Lake located on the Sunshine Coast. This quaint lakeside studio cottage is a quiet retreat from the noise, the hustle and bustle and the stress of city life. Relax amid the sounds of nature, quiet breezes and the call of the loons. 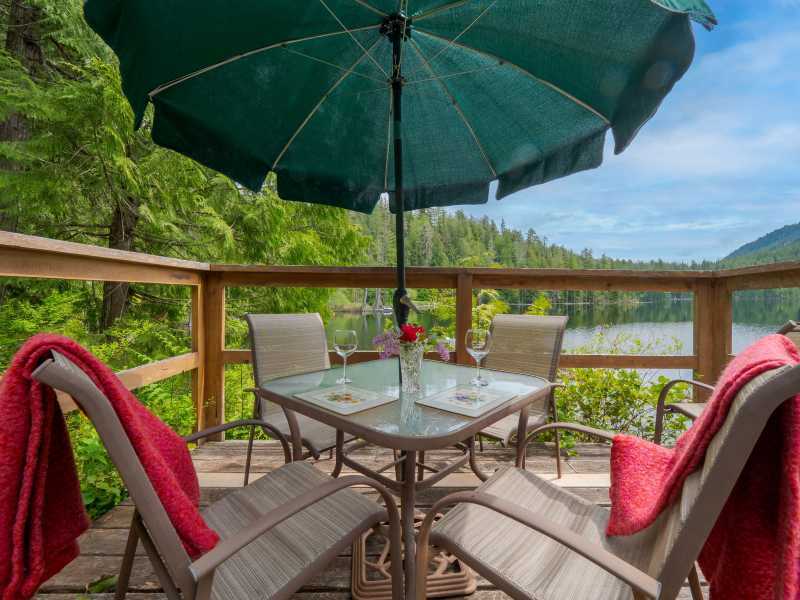 The Lakeside Cottage has everything you need to escape your troubles and take time for yourself. 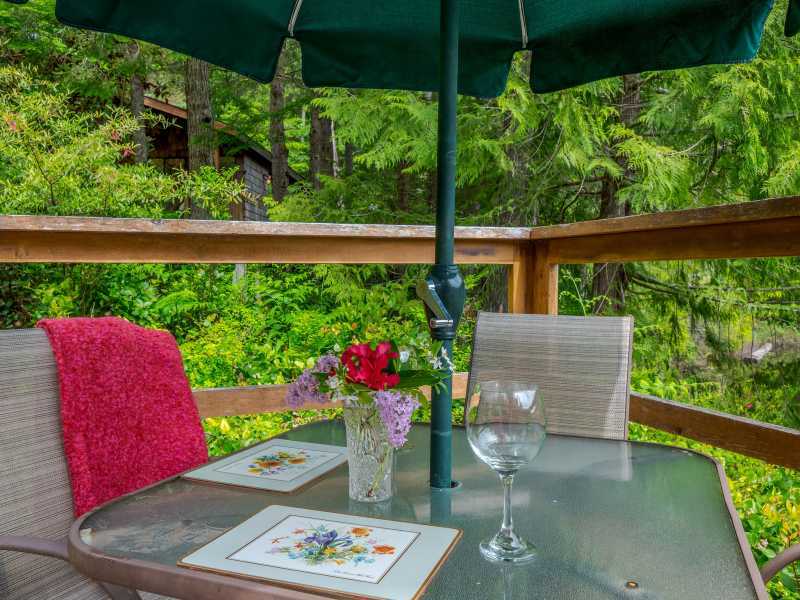 Situated on North Lake just minutes from the world famous Skookumchuck Rapids, this cozy studio cottage is ideal or two people. The open-plan eating area, living room, and queen Murphy bed have a spectacular view of the lake and make for an excellent location to enjoy a meal, read a book, or sleep in comfort. You can also spend some time on the porch and private deck, both with comfortable patio furniture and enjoy the sounds of the awakening surrounding forest. Or bring your fishing gear and while away the day on the lake casting for trout. Life's troubles will evaporate as the fresh air will help rejuvenate you during your getaway. 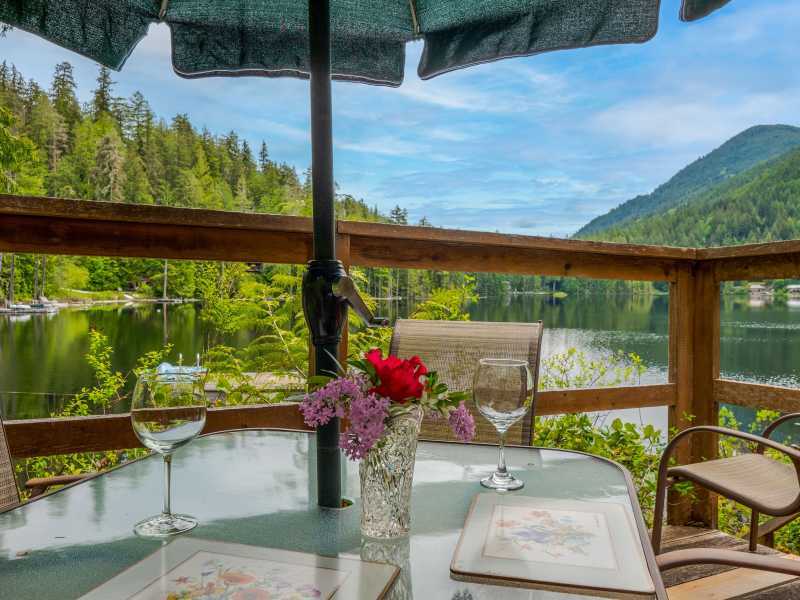 The Lakeside Cottage is also great as a short winter escape as it's just 2 hours from Vancouver. Outdoor activities abound like snow shoeing, hiking the trails or mountain biking. For those with an adventurous spirit whitewater kayaking is close by at the Skookumchuck Rapids. The Lakeside Cottage, a great little getaway! Bookings from October 1 to May 31 require a 7 night minimum stay. We had a great stay at the Lakeside Cottage, but found the website to be misleading as this is a one room cabin with a murphy bed in the living room. Also it was not as clean as could be with cob webs and dead insects throughout. The location was perfect though and we really appreciated the flexibility of our reservation agent. Thank you very much for your letting us know you enjoyed your stay at the Lakeside Cottage also for providing us some constructive ideas to better advertise the property feature. After a review of the listing, we have made some adjustments to show the queen Murphy bed and to mention that the cottage is a studio style open plan. We are reviewing the cleaning issues as pointed out to ensure it is corrected. Thank you again and we hope to see you again soon in the future.